PowerSafe Technology Corporation subsidiary Amplification Technologies Inc. and El-Gev Electronics Ltd. today announced the signing of a distribution agreement for Israel. El-Gev Electronics Ltd. will market and distribute the full line of ATI's innovative Discrete Amplification (DA) devices for low-level light detection. VALENCIA, Spain, Streets will be brighter, tourists safer, and electrical bills lesser in this Mediterranean resort region, thanks to 1,000 new energy-efficient and cost-effective streetlights using Seoul Semiconductor LEDs. Tekcore has announced a placement to provide additional MOCVD machines to help meet a growing demand for its products. StockerYale, Inc., a leading designer and manufacturer of diode-based laser modules and LED systems for industrial OEMs, medical and defense markets, will report its financial results for the year ended December 31, 2009 at 4:30 p.m. on Thursday, March 18, 2010. Avago Technologies, supplier of analog interface components for communications, industrial and consumer applications, announced today that on Friday March 12, 2010, the International Trade Commission issued the Initial Determination finding a violation of Section 337 of the Tariff Act of 1930, as amended, 19 U.S.C. § 1337, in favor of Avago Technologies, upholding the validity of Avago’s patents and finding that Emcore Corporation infringes Avago’s intellectual property by importing and selling certain optoelectronics products used in optical communication systems. After a one-week hearing in November 2009, and post-hearing briefing, the ITC also rejected Emcore’s invalidity and other defenses. Advanced Diamond Technologies (ADT) announces UNCD T30TM, a new addition to its growing UNCD family of diamond materials. The goal of BCC Research was to determine the current status of the market for solid-state lighting equipment in the form of light-emitting diodes (LEDs), and to assess their growth potential from 2008 to 2009 and then to 2014. The types of LEDs and their value for various consumer and industrial applications are of particular interest. RF Micro Devices, Inc. a global leader in the design and manufacture of high-performance radio frequency components and compound semiconductor technologies, today announced it has successfully manufactured the industry's first photovoltaic cell using high-volume six-inch gallium arsenide (GaAs) machinery. ElectroniCast Consultants, a leading market & technology forecast consultancy addressing the fiber optics communications industry, today announced the release of their market forecast and analysis of the global market consumption and technology trends of fiber optic components, and supporting devices and parts, which are designed to operate in harsh environments, beyond the environment of commercial telecom and datacom (premise) installations. RF Micro Devices has announced the development of a new PV system using gallium arsenide compound semiconductors. Finisar Corporation, a technology leader for fiber optic subsystems and components for communication applications, today announced that it intends to offer, subject to market and other conditions, approximately 7,200,000 shares of its Common Stock. Efficient Power Conversion Corporation (EPC) today announced that CEO, Alex Lidow, will be delivering the keynote address at the 2010 Conference on Integrated Power Electronic Systems (CIPS) in Nuremberg, Germany on March 18. 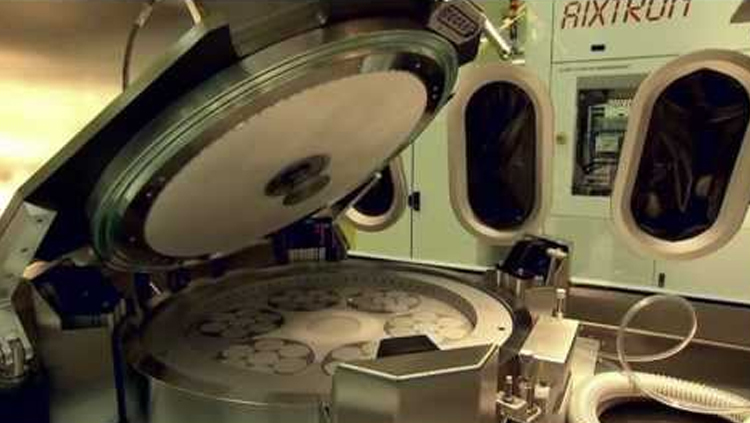 Advanced technologies for cleaning, measuring and processing new III-V semiconductor materials for volume wafer manufacturing will be featured at SEMATECH’s Surface Preparation and Cleaning Conference (SPCC), to be held March 22-24 at the Sheraton Austin Hotel.